Tulodo is a consulting and project management agency based in Jakarta, specialising in social and behaviour change. 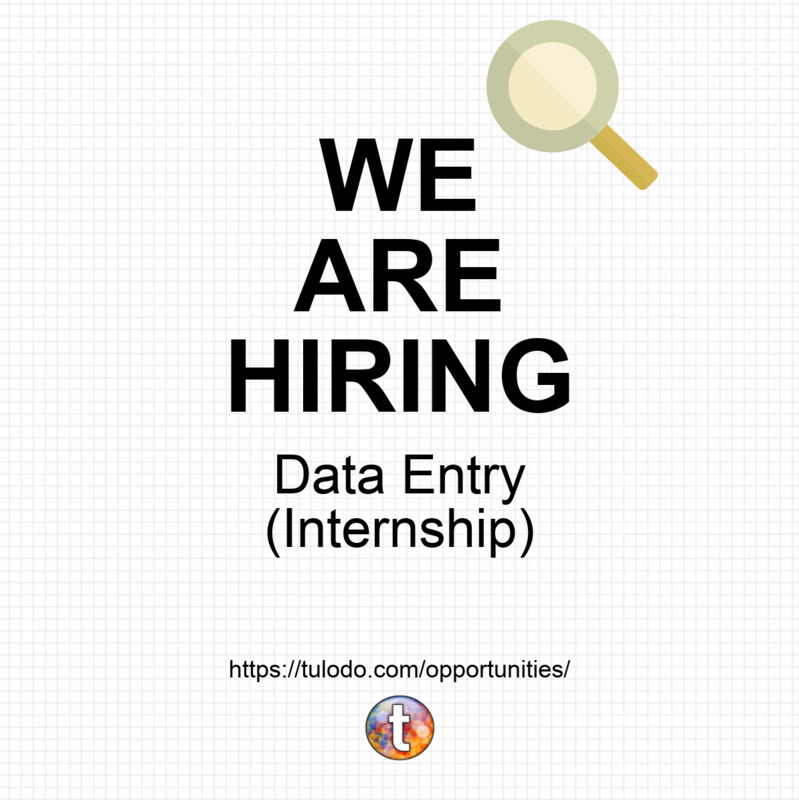 Tulodo Indonesia is looking for a Data Entry Assistant in our newest project, Kunang-Kunang, a community to enable young Indonesians to make good health decisions and access services. Updating data, organising files and collecting data to be entered into the Kunang-Kunang online database and website. Keeping sensitive company information confidential. Final year students and fresh graduates entry level applicants are encouraged to apply. The ideal candidate will be computer savvy (particularly MS Office) and a fast typist with a keen eye for detail. Can start immediately is preferred. This position would be based in Jakarta, Indonesia for 1 month with possible extension. Description Tulodo aims to harness the experience and creativity of our team and partners to develop innovative projects to address some of the biggest challenges in social and behavior change. Let us know if you would like to be a part of our projects and we welcome big, bold ideas for us to work on together. Project Oloy: Tulodo is developing a new sexual and reproductive health platform that will break down barriers to change. We are creating an online community for people to find fact-based information, connect with health professionals and share experiences with people like them. AgentMaker: Tulodo’s AgentMaker is an innovative mobile platform that enables managers to identify and develop effective change agents to deliver and monitor social and behavior change programs. What we’ve found is that in almost every successful social and behavior change program, you will find change agents. These include the community health workers who provide reproductive health services, peer educators in schools educating on HIV prevention, as well as volunteers, leaders, extension workers and many others. Change agents are essential to every program’s success and sustainability. Why? Because they are local people with local knowledge who are trusted by their community. AgentMaker enables managers to send messages and other information to change agents to be disseminated to their communities, eg. types of contraception. In turn, change agents will send data to track impact, for example the numbers of households using different forms of contraception. Managers will also be able to use the AgentMaker system to build the capabilities of change agents and local organizations. We welcome your feedback and hope to work with you to make AgentMaker a useful contribution to social and behavior change programs.